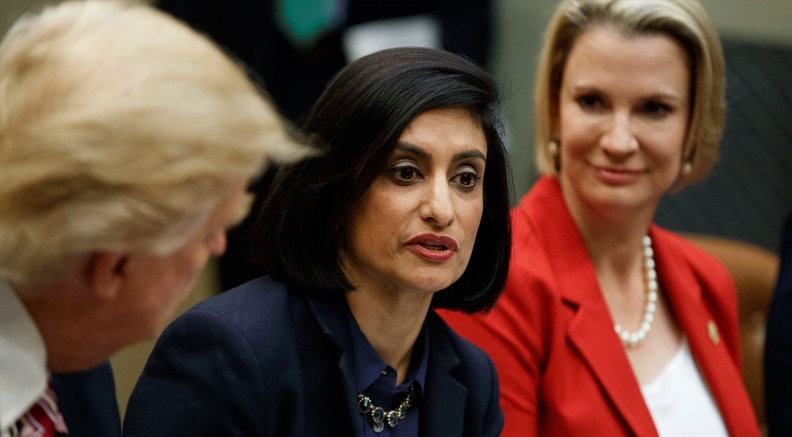 CMS Administrator Seema Verma said Thursday that the agency is working to improve a new rule requiring hospitals to post chargemaster prices on their websites after experts said the data wouldn't help consumers. Acknowledging that chargemaster prices aren't accurate out-of-pocket costs for insured patients, Verma maintained the requirement is an "important first step" to increase price transparency. She said the agency is "working toward" addressing the concerns but also said "there is no reason hospitals can't do more." The CMS is soliciting feedback from stakeholders about how to improve the rule, but Verma declined to offer a timeline for when changes might take place. Since Jan. 1, hospitals must post a list of their standard charges in a machine-readable format on their website and update the information at least once a year. The CMS finalized the rule in August in accordance with a provision of the Affordable Care Act that was never previously enforced. The requirement has been criticized by hospitals and consumer advocates because standard charges are typically not what patients will pay. Medicare, Medicaid and private insurers individually negotiate prices with hospitals, but chargemasters don't reflect those deals. Patients' out-of-pocket costs are usually lower than the chargemaster prices. Verma pointed out that the requirement doesn't prevent hospitals from going beyond just posting the chargemaster prices. She noted several health systems that have created tools for patients that factor in their costs after insurance including UCHealth. "While many hospitals have said chargemaster information can be confusing for consumers, let me be clear, hospitals don't have to wait for us to go further in helping their patients understand what care will cost," Verma said. "We look forward to more facilities exceeding our requirements," she added.